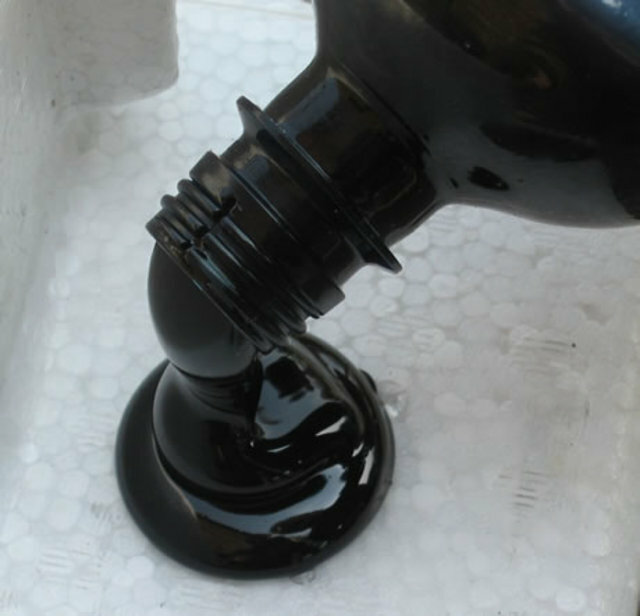 Fuel oil is a residual product after refining. It is very thick odorous substance, dark brown in color. They leave stains on clothes, objects, hands, appear very difficult. To wash the oil, you will have to use special tools. Use household cleaner and washing powder to wash the oil from his hands. Well they RUB the stain and then rinse with warm water. You can use regular Laundry soap, but it copes with this type of stain worse.At least a good tool for these purposes are a variety of cream paste, produced by modern cosmetic companies. For example, widely available pasta Solopol". It contains special abrasive component, but it does not contain any solvents. It is worth noting the ability to "Solopolo" to fight not only the oil, it oil, soot, oily products. Use vegetable (sunflower) seed oil and shampoos if you want to take oil stains from dogs, cats, bird feathers. Oil will not harm the animals, as it can make some household chemicals and solvents. Named method is quite effective and is widely used by owners of playful Pets. To clean oil from clothes the hardest. To do this, use gasoline, kerosene or white spirit. All of these tools can be purchased at a hardware store.Treat stains soaked swab very carefully, try to avoid getting solvents to clean parts of the clothing. After this you need to wash clothes with powder. For cleaning oil from machine parts and other units also use solvents. In addition, on the shelves of auto shops you can find special cleaners. Whichever way you fought with stubborn oil stains, be careful. Various chemicals can harm not only stained objects, but also health. If possible, use less hazardous means, for example, vegetable oil, shampoos, soap, powders.